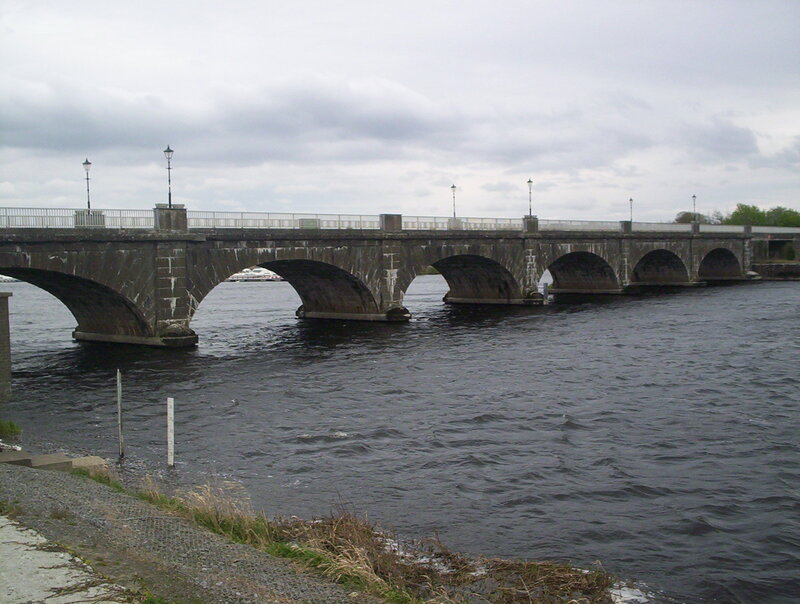 Shannonbridge, County Offaly, critical crossing point over the Shannon River from the West. Shortly after the failure of the French Fleet invasion of 1796 at Bantry, Wolfe Tone returned to France and was successful in persuading the French to attempt another invasion although on a much smaller scale. In August 1798 General Humbert’s force landed at Killala. Wolfe Tone’s uncle, Matthew, was aboard one of the four ships, La Hoche, Robrest, Ethalion and the Doris. The French crossed the Shannon at Ballintra but were defeated and forced to surrender at Ballinamuck, Co.Longford. This expedition drew attention to the weakness of the Shannon fortifications to defend against further attempts and the British included The Shannon in plans to increase fortifications and these were to be concentrated at Athlone, Banagher and Shannon-Bridge, the main crossing point from Galway on the Shannon for any large force attempting a march on Dublin. 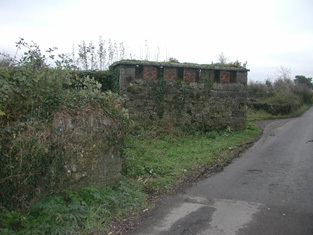 At Shannonbridge, small arms barracks were constructed on each side of the bridge and at Banagher, already identified as a crucial defensive position had existing fortifications strengthened and a Martello Towers constructed near Cromwell’s Castle that was strengthened and converted into a powder magazine and a gun mounted on the roof. 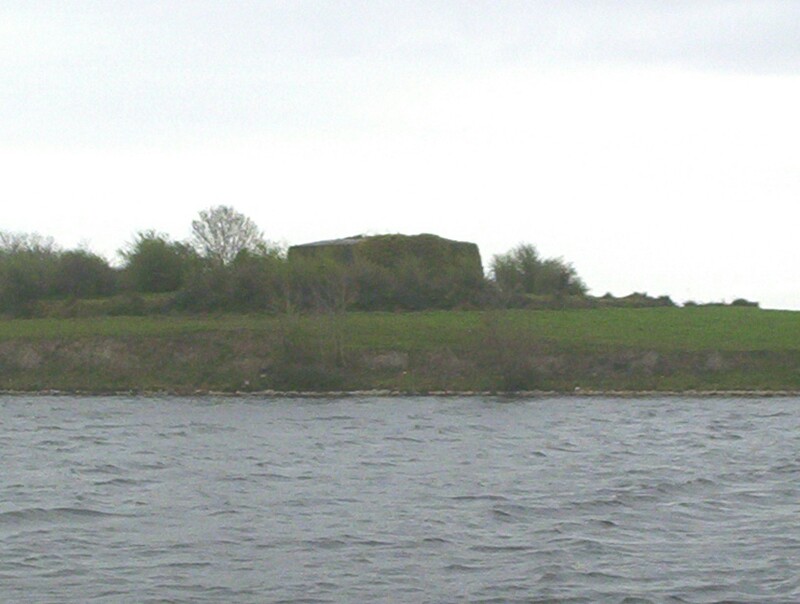 The tete-de-point fortification at Shannonbridge on the West bank of the Shannon. New fortifications included 2 Martello Towers, one at Meelick on Moran Island, 400 yards north of Victoria Lock to the west of the recently opened canal, one at Banagher, 4 miles upstream from Keelogue Bridge west of the canal on the Galway side near Eyrecourt. 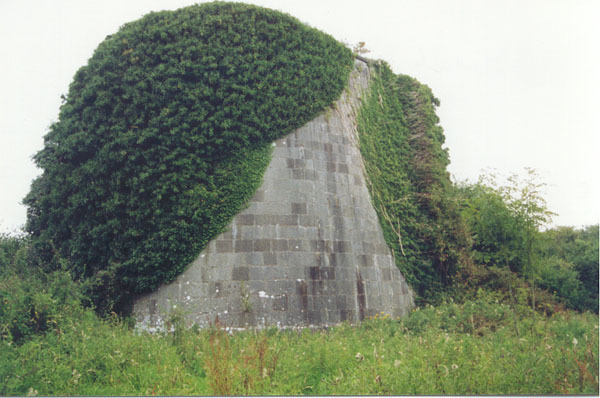 The forts at Shannonbridge were described as “being unique in Ireland and Britain” and “a remarkable example of artillery fortifications of the Napoleonic period” Gun batteries were also built at Athlone to increase the fortifications there. “Shannonbridge, a village and fortified military station. The Roscommon end of the bridge is occupied by a military work, which forms a ‘tete de pont’ capapable of accommodating a small garrison. The public road wends between the barracks and the fort, passing through a strong gate; and the place, besides being defended by the guns of the fort is protected on the Connaught side by an advanced redoubt on a rising ground to the north of the highway”. 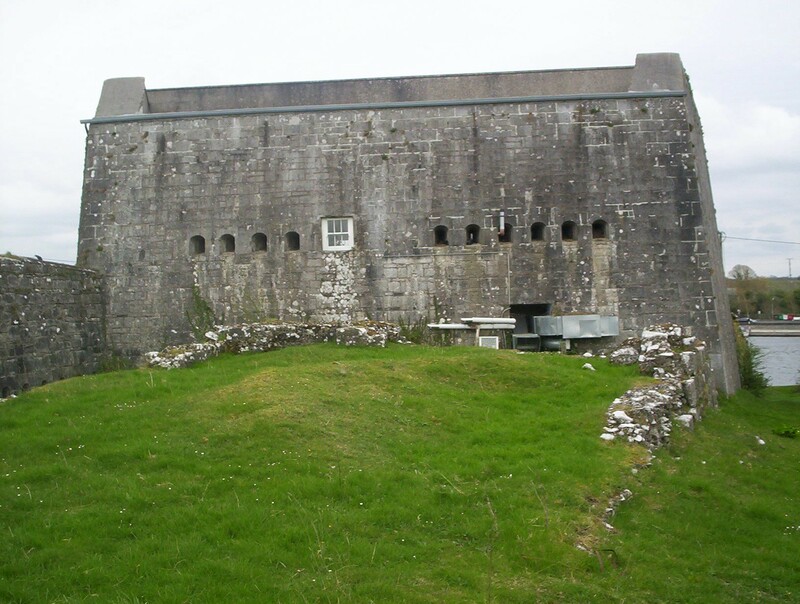 The fortifications are closely similar to those at Banagher: but the barracks are larger, and the battery more conspicuous. 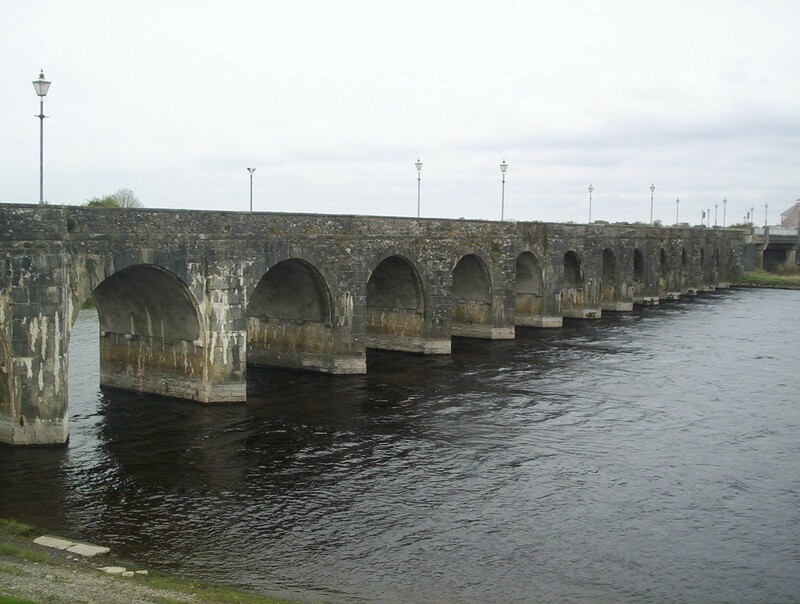 Shannon-Bridge is one of the three fortified passes still maintained upon the Shannon, the other two being Banagher and Athlone. 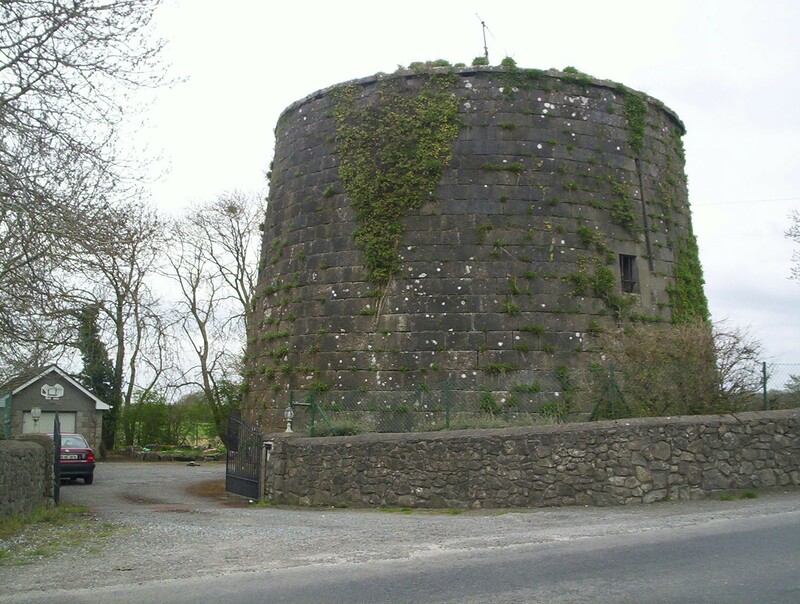 The Martello Tower at Banagher, County Offaly, opposite side of the road at Cromwell’s Castle fortification, one of the rare cam shaped towers built in Ireland. Meelick Martello Tower stands on an island downstream from Meelick Quay, 400 yards north of Victoria Lock to the west of the canal. (Photo Peter Algeo, Irish Waterways Association of Ireland). on west side of River Shannon constructed c.1812 photo courtesy NIAH. Full details,select SURVEYS,County Offaly.